There is a serious case of hypocrisy running round the right wing at the moment. Not that that isn't a perpetual illness, but there are two egregious instances in the news at the moment. Case number one: Hank Williams Jr., case two: Occupy Wall Street. First Hank Williams Jr. Why is it that when Natalie Mains of the Dixie Chicks made a joke to a London audience that she was ashamed the both she and George Bush came from Texas, the right erupted. There were CD crushing parties, most particularly, a Texas radio station rented a steamroller to crush a giant pile of Dixie Chick merchandise. Natalie Mains was literally subjected to death threats. It is no exaggeration to say she had to go into hiding. At the time, the talking heads on Fox (and even CNN) said that she was out of line with that comment. People said that you are not allowed to criticize the President of the United States, period. Even if you disagree with his actions, you MUST respect the office. She was told to "Shut up and sing." People said that artists and musicians should not comment on politics, as if the entire purpose of the arts was not to comment on the world. They basically tried to reenact the Sedition Laws. The result of this was that the career of the Dixie Chicks, for all intents and purposes was ended. They released one album after the incident, that no country music station would play. The video for "Not Ready to Make Nice," did get a lot of airplay on VH1, but since their fan base tends to tune into CMT, the video didn't spur a lot of record sales. Hank Williams Jr. made a much worse comment, comparing Obama to Hitler and calling him the "Enemy." Very vicious stuff, far worse that expressing shame in sharing a birth state with someone. The result, Hank Williams' record sales have gone through the roof. He is being praised by such luminaries as Rush Limbaugh and Glenn Beck. He has been ordained as the high priest of the Right. Can you say hypocrisy? The left cannot criticize a Republican president, but the right can. On to the other issue du jour. Why is it that Occupy Wall Street protesters are "un-American and a danger to Democracy," as Peter King stated, when the Tea Party protesters are true patriots? The right is begging the media not to cover them. Literally. 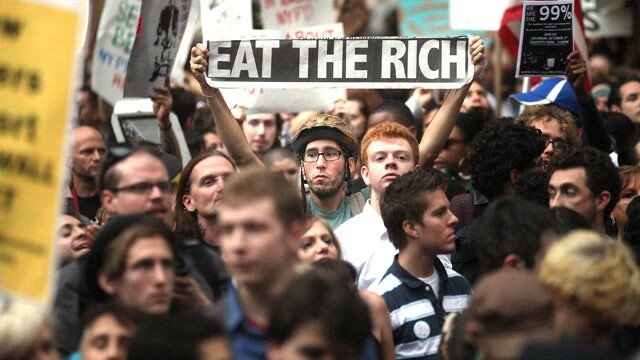 They have called and asked news stations to please stop reporting on the Occupy Wall Street Movement. They have said that giving airtime to these "criminals" is validating their movement. And as proof of their success on this request, even the MSNBC website currently (Monday morning) has nothing on their main page about the protests. The right would create manufactured events, and get press coverage, and somehow get them to shoot those events so that it looked like the crowds were huge, even if there were only a handful of people in attendance. Independent crowd counters always came up with far smaller numbers for the events that the Tea Party people did. The Occupy Wall Street protests are undercounted, and the spread of the movement is being minimized, to make it seem like a fringe event. So the actual fringe movement is lauded and stated to represent the vast majority of America, and the movement that ACTUALLY has vast support nationwide is minimized and disenfrachised. Join with me now, HYPOCRISY, what a beautiful thing. Never underestimate the ability of the human mind to hold two diametrically opposed ideas simultaneously.